Not only is Vancouver currently playing host to Lionsgate’s live-action Power Rangers movie, but Violet, Klaus, and Sunny Baudelaire have also taken up residence in the city of late, though it’s a certain Count Olaf that takes center stage in the first set photo for Netflix’s A Series of Unfortunate Events. Surfacing online via Vancity Buzz, it is How I Met Your Mother star Neil Patrick Harris that will be menacing the orphaned Baudelaires as Olaf, and the snap below features Harris sporting an appropriately wispy hairstyle. Anchoring that tale of family and adventure is Patrick Warburton (Rules of Engagement), who has been cast in the role of Lemony Snicket himself. All across the beloved literary series, Snicket acted as both the author and narrator of Violet, Klaus, and Sunny’s plight, as they’re doggedly pursued by their estranged uncle. To date, Malina Weissman and Louis Hynes have boarded A Series of Unfortunate Events as Violet and Klaus, respectively, and the jury’s still out on who Netflix will cast as the youngest sibling, Sunny. Mark Hudis, meanwhile, is taking the reins as showrunner for the 13-episode series, which has also attracted Barry Sonnenfeld, the executive producer who helped shepherd the 2004 feature film that placed Jim Carrey in the role of Olaf. 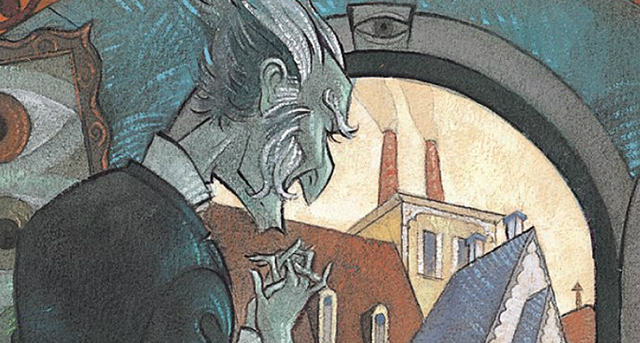 Picking up the torch, Neil Patrick Harris will soon be wringing his hands with gleeful menace as Count Olaf when Netflix’s A Series of Unfortunate Events premieres at some point in early 2017.